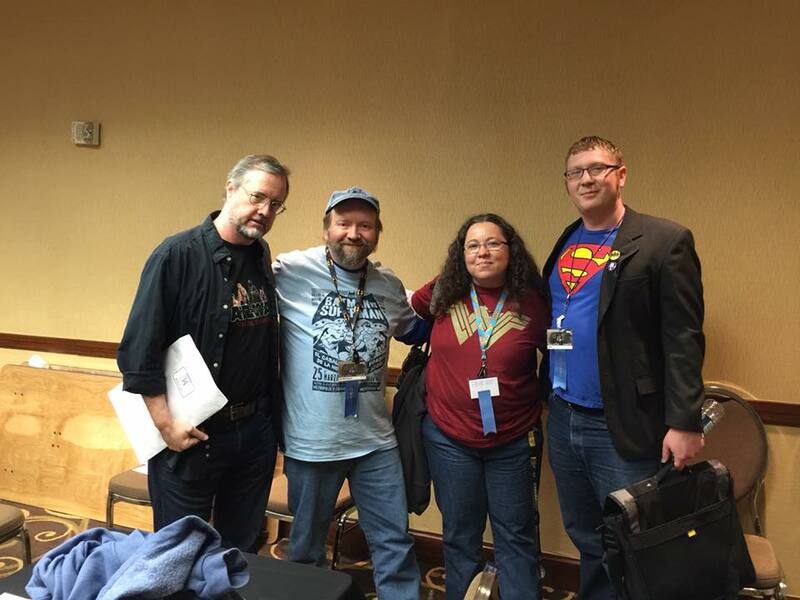 I’ve talked about portfolio reviews before (Part 1 and Part 2), but recently had a con experience I thought I’d share. 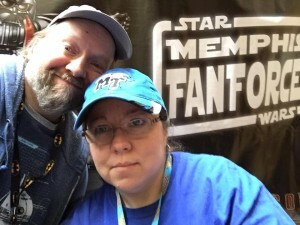 A couple weeks ago my wife and I were guests at MidSouthCon in Memphis, TN. It’s a sci-fi/lit con in its 34th year and one of our “backyard cons”. We go every year. Saturday we were both on a lot of panels so I didn’t get a lot of time to check out the dealers room or visit other panels. 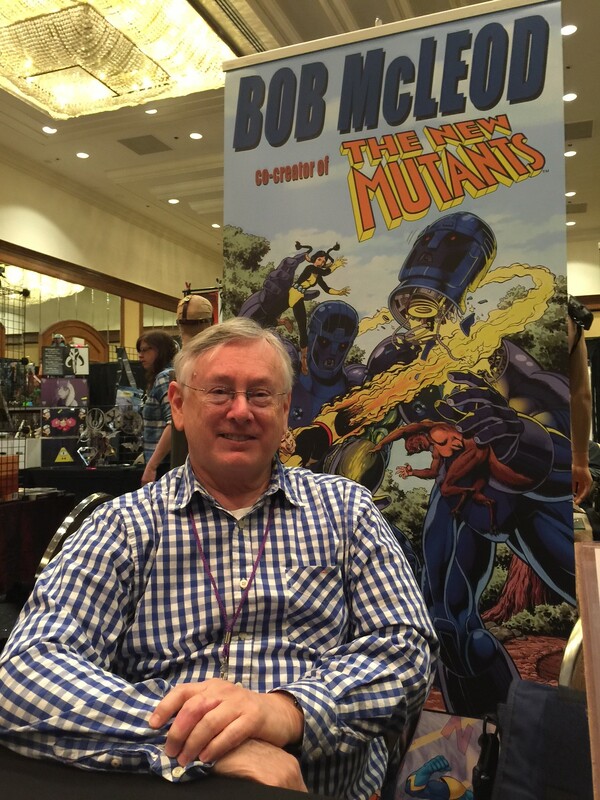 When I did get a chance to do a quick run through the dealers room to get a comic book signed by Comic Artist Guest of Honor Bob McLeod he wasn’t at his table. “Probably at a panel.” I thought. MSC loves their panels, and sure enough as I entered a room to be on one he was walking out from one he had been on. My panel was about to start and I didn’t have a lot of time, so I figured I’d catch up with him later. By the time we were done with all of our panels, the dealers room and art show were closed for the night. We met up with some friends and headed across the street for dinner, and then called it a night. It was getting late, and even though it’s a backyard con, we still had about a 45min drive home to do. 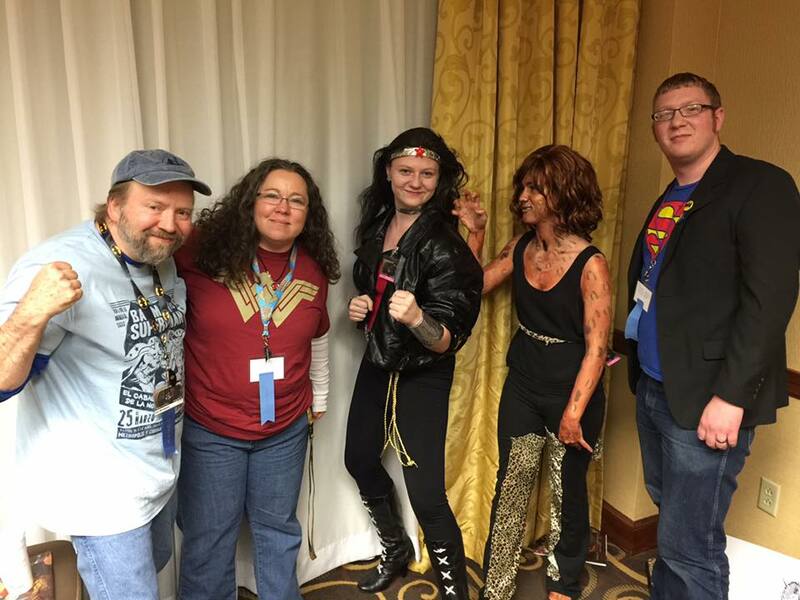 The next day Nicki only had one panel, so we were able to spend more time around the con. We swung through the art show (I had some sketchcovers on display in it), ran into a few friends, and bought some cool merch in the dealers room. 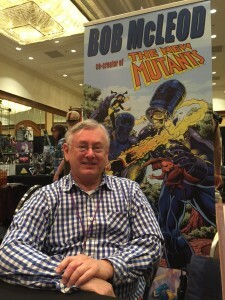 I saw Bob McLeod sitting behind his table and talking to a con attendee. 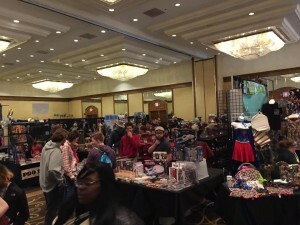 It was kinda funny, because as I approached the table I could hear the fan mentioning Roy Thomas, Gary Friedrich, the “Missouri Mafia“, and a “great guy” who runs a con in Cape Girardeau, MO. “Ken Murphy and Cape-Con, right?” I asked. “Yeah!”, he replied. I told him I had been to Cape Comic Con many times before and enjoyed it- and I had even met Roy and Gary there as well. He then told Bob he would pass along his info to Ken and thanked him for the business card. As they finished pleasantries, I was standing there waiting my turn and about to say, “Hi, Bob- good to see you again. 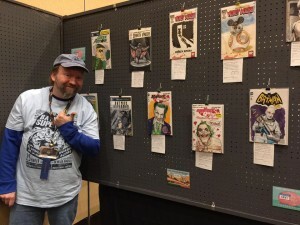 Would you mind signing this comic for a friend of mine?” Unfortunately I didn’t get to because just as the fan turned to leave another artist, who’s table was a few down from Bob’s, comes running over and plops his portfolio down in front of Bob. “THUD!” He opens the book, tells Bob, “Here’s my portfolio I was telling you about!”, and starts pointing out some of his favorite works, some of which aren’t quite finished yet and most are pin-ups. Bob sits forward and looks over the pages as the owner of the portfolio tells him about each page, and in detail…quite a lot of detail. I started to get upset- “WTF..? !” I was standing there with a book in one hand and $20 in my other to buy a couple prints. I didn’t think I was invisible, but this guy was treating me as such. As rude as his cutting in front of me, a paying customer, to monopolize Bob’s time (for free professional advice) was, the more I listened to the exchange the more I was glad he did jump ahead in line. Anytime Bob would give the guy a compliment, the artist would thank him and tell him more about the story. Anytime Bob would give him some advice or constructive criticism the artist would either make excuses, would say, “Oh, yeah- I knew that.”, or just flat out say that he thought about doing it that way but thought his own way worked better. Internally I was shaking my head. 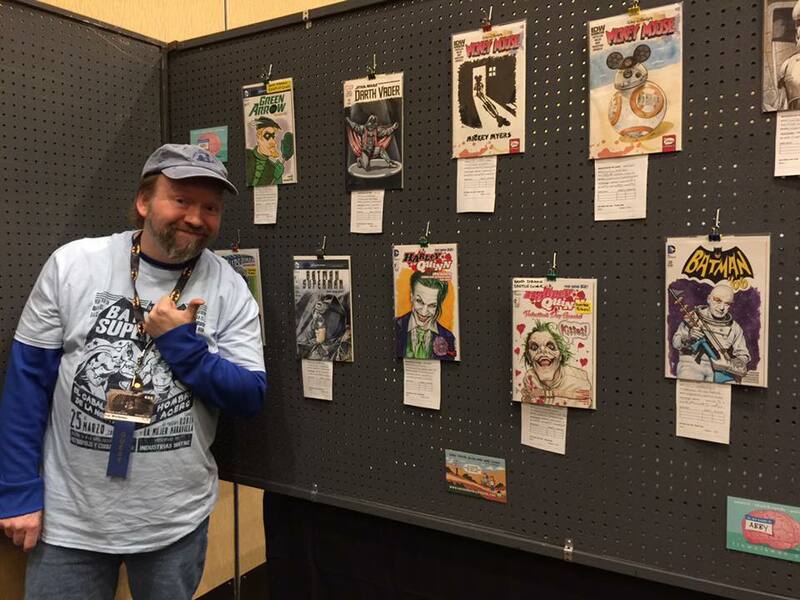 He was committing just about every convention portfolio “no-no” an aspiring artist can. I normally feel sorry for the artists when I witness them doing something like this- when a pro gives them any criticism they immediately go into defense mode. Usually they are too young, inexperienced, nervous, excited, or just plain socially awkward. This guy was old enough to know better. He was one of those folks who didn’t really want advice, and would probably forget any given. He just wanted someone to tell him how good he is. He had mentioned how another local artist had given him some great advice and really loved his work. While I listened, I flipped through Bob’s portfolio of art prints for sale and made mental notes of the tips he was sharing. How to use line weight to show lighting and depth, when and where to use cross-hatching and shading, and when not to. When he looked at one of the few sequential pages in front of him- a couple long horizontal panels on top with three long vertical panels along the bottom, he told the artist that he would have brought the two figures off of the bottom of the panel borders. The figures were standing at the very bottom of the frames. The artist said he would have, but had planned on doing a big lighting effect above them. Bob explained how by moving them up even slightly to separate them from the panel border it would create more depth. The artist again said he would have, but this time added he needed to leave room for a lot of dialogue. Bob suggested that he draw out word balloons to see how much space he would have for the figures/heads. It’s how Bob likes to do his layouts- Charles Schultz did his Peanuts cartoons that way, too. Instead of the artist thanking him and saying he’d go home and re-draw that page, he kinda blew Bob off..! When there was a break in the conversation, I asked Bob how he had done a certain inking technique on one of his prints. It was a sepia tone western shot with a lot of cool crosshatching that reminded me a lot of Bernie Wrightson‘s work. He laughed and said, “I don’t know- I just sort of make it up as I go along.” He then told me how he just tried to think of where his light source is and then draw thick to thin towards the light. It was a simple bit of advice, but he pointed out how and where the light was coming from, and it quickly made sense. Bob noticed I had a book and cash on my hands, so he told the artist, “I think he was here first- do you mind if I take a moment?” The artist replied back, “Oh, yeah- sure. Lin and I have been on panels before together, and we always take them over. Ha-ha!” For the record I only remember being on one panel together, but they do tend to blur together after a while, and I suffer from “old timers” a lot these days. Bob asked me if I’d like my book signed. I said yes, and that I’d like a color Phantom print and a Spiderman B/W cover print as well. He signed them, and we both thanked each other. I really hated I didn’t get to talk shop more about techniques and the Spider-Man books he’s worked on. Since Nicki and I needed to head out so I could get home and work on a sketch card deadline, I said goodbye and met up with Nicki. Another MSC was over, and this one seemed to really fly by. Don’t push your way in front of others, especially paying customers. Be polite, respectful, and wait your turn. Try to find out before the con if they are going to be reviewing portfolios. If you are uncertain, you can always ask if they would mind looking at your work. Some pros are very happy to, others may be too busy. Just be polite, and dress like you are going to an interview if it is a company looking to recruit talent. 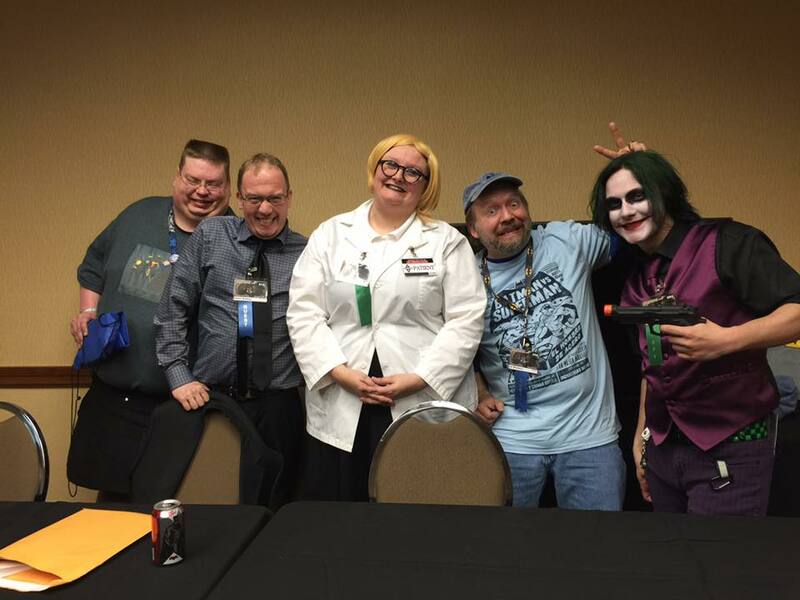 Just because it may be at a con doesn’t mean you should dress like you’re at a con. Oh, and be sure to bathe, brush your teeth, and use deodorant. You’ll both be glad you did. Don’t show a professional a bunch of pin-ups and art you haven’t bothered to take the time to finish. It’s okay to have sketches and unfinished work in a sketch book- that’s what they are for, but not in a portfolio. Keep the work to 6-12 pages of your best and most recent work, preferably sequential comic pages. Pros want to see if you can tell a story, not if you can draw hot girls with big cleavage in “broke-back” poses or how you used to draw when you were “just starting out”. I do more illustration and advertising art and tend to keep about 10 pieces in my illustration portfolio. I can change it out depending on the client or person I’m showing it to. I know some artists have carried their work around in a FedEx box at conventions, and have been very successful with it. They could also draw their asses off. I personally like a portfolio because it’s easier for folks to flip through, it keeps the art organized, and can help protect it- which is very important traveling with it to/from and around a con. I like a zippered one, but the book style can be easier to flip through. Listen to the advice and constructive criticism. Don’t make excuses, argue, or tell them that you knew that information already. You don’t have to like it or agree with it, but you asked for it so keep your mouth shut and take it. Answer them honestly when they ask you a question, and don’t be afraid to ask some yourself. Have a pad or sketchbook to make some notes, or at least act like you’re paying attention. Thank them for their time. If they are selling merch or doing art and you can afford to buy something, do. They are there not only to meet fans, but to sell comics, sketches, prints, and more, too. Ask if they have a website or a Facebook page you can visit. If they have a business card or promo postcard available take one. Have one of your own ready in case they ask for one- especially for a talent search review. If you don’t have a website, get one, add a gallery, contact info, bio, and put your web address on all leave behind materials. 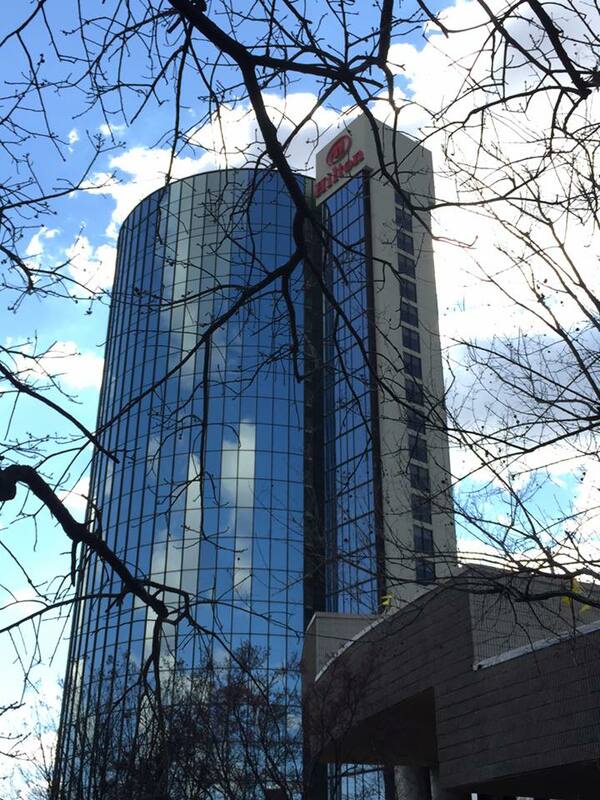 Learn how to do an “elevator pitch“. It’s a short, usually a short one line description of you comic/story. You don’t need to tell them or anyone who comes up to your booth the whole story. You want to give them just enough info to tease them and make them want to read it themselves. When I was working on “Bushi Tales” our elevator pitch was, “Four samurai girls go on a quest in a post-apocalyptic feudal Japan for the Japanese god of war, Hachiman.” Pretty easy to say and grasp the concept. If you’re showing a page of art you can give a brief description of the story or characters, but honestly if they can’t look at your work and tell what’s going on you’re probably doing it wrong. If you are good at pencils, but not inks you probably should just show penciled pages. If you’re not a strong penciler get someone else’s penciled work to ink- let them know you want to be an inker, but don’t try to fool them into thinking you did all the work. If you’re not good with lettering or coloring and that’s not what you want to do in comics, don’t show it. Stick to what you are trying to get a job doing and only show your best work. If you have any printed comics you’ve worked on bring along some copies. It gives a positive impression that you can and will do the work. After many years of being on the advice side of the table I am able to tell if someone is serious or a waste of my time in just a few minutes of talking to them. It’s gotten too easy some times. If someone is serious about learning I’m happy to talk shop at length. If I think they are full of it, I just cut through the crap. I tell them their stuff looks great, and wish them good luck- that’s what they wanted to hear anyway. I’ve got a Part 4 coming up later, but hope this story helps you or someone you know with any portfolio reviews you may get to do. Again, Part 1 and Part 2 go into more details for tips on showing your work. 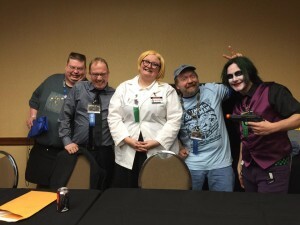 PS- I’ll be doing a blog post soon on the cosplay I saw at Midsouthcon.